Supporters of the measure say that extra sunshine in the evening hours would boost Florida’s economy, save energy, improve road and public safety and reduce crime. But what are the trade-offs? "If Florida changed it would be out of sync with the Eastern Time Zone, which is by far the biggest," says Dr. David Prerau, author of Seize the Daylight: The Curious And Contentious Story of Daylight Saving Time. "The reason the Eastern Time Zone is the biggest is that a lot of areas wanted to be in the same time zone as New York, the business capital, and Washington, the political capital. So Florida would be taking itself out of that time zone for four months of the year." Opponents of a year-round Daylight Saving Time say the energy-saving benefits of the switch would be debatable in hot and humid Florida, where air conditioners would have to be running longer in the evenings -- something that would likely raise power bills. They also fear late sunrises would make morning commutes a drag for drivers and pose a serious danger to school children. 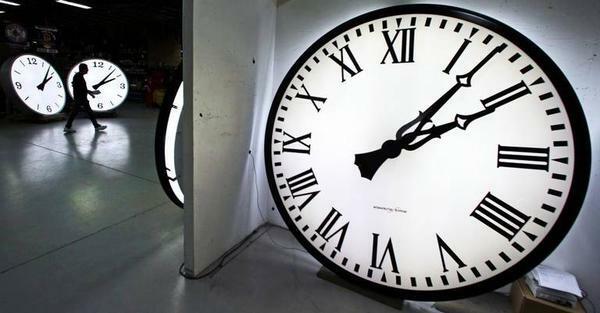 But legislative action and the governor's signature notwithstanding, Florida doesn't have the authority to simply throw out "spring forward, fall back." The U.S. Department of Transportation oversees the country's time zones and the uniform observance of Daylight Saving Time. Current federal law allows states to opt out and remain on Standard Time, but does not permit a state to remain on Daylight Saving Time throughout the winter months. So any change to Florida's time zone would require an authorization from Congress.